For over 55 years, the Amersfoort Youth Orchestra (AYO) has given a platform to talented young musicians aged 13 to 24. The AYO is a full-scale symphony orchestra comprising some seventy young musicians. Some are still at school, others are students at university or a music college. They rehearse every week under the baton of Rolf Buijs. 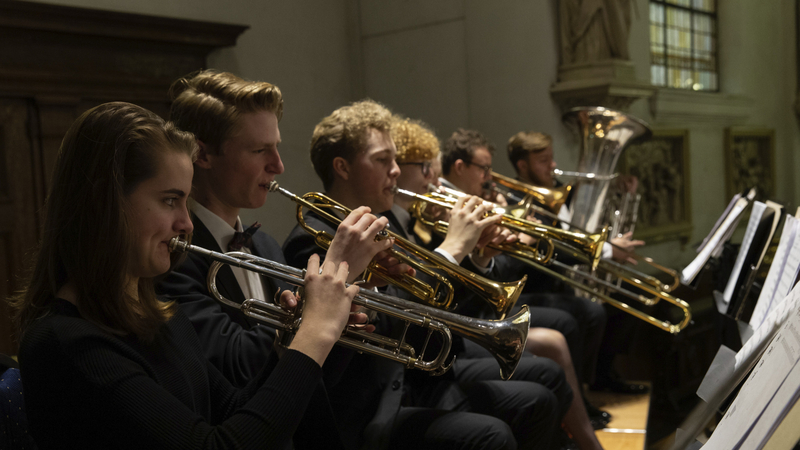 The orchestra was founded in 1962 by twelve pupils at the Amersfoort Music School. Its first musical director was the renowned violin teacher Qui van Woerdekom, who remained at the helm for 25 years. Peter Vinken took up the baton in 1987 and was succeeded by Rolf Buijs in 2005. The orchestra has made many international appearances, visiting Germany, Austria, Hungary, the Czech Republic, Italy, Spain and Scotland. In 2009 and 2011, the AYO won the National Youth Symphony Orchestra Competition. In May 2013, it took part in the European Youth Music Festival in Neerpelt, Belgium, and was awarded first prize in the String and Symphony Orchestra category.